Your customers’ needs change depending on their time of life: children come along – and later move out. People get older, more unsteady – or look after their parents. Reduced mobility can change the daily routines of people of all ages. In any new kind of living situation, what your customers do not want to do is to completely redesign the bathroom. Or to have to compromise on attractive design. 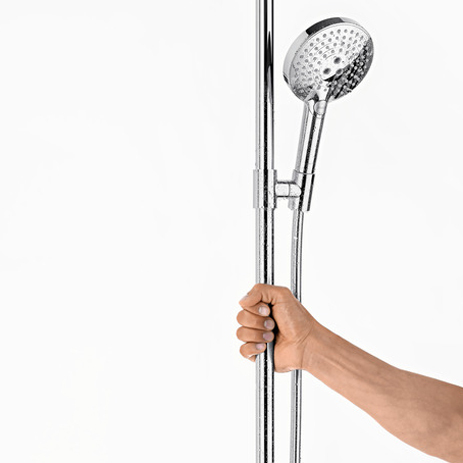 The hansgrohe Unica Comfort shower range takes all requirements into account. 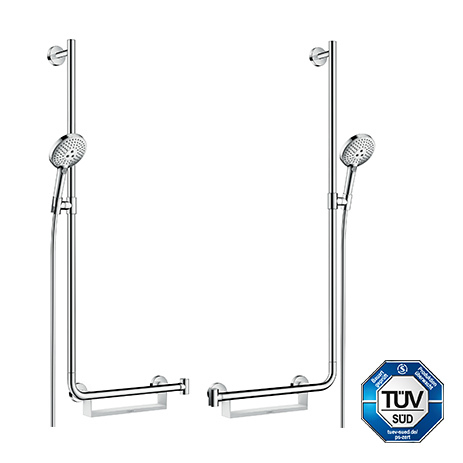 Thanks to TÜV-tested safety features, it offers the whole family extra support, flexibility and comfort – with considerably less risk of slipping in the shower or bath tub. Its target group is therefore extensive. Take advantage of its top sales potential. 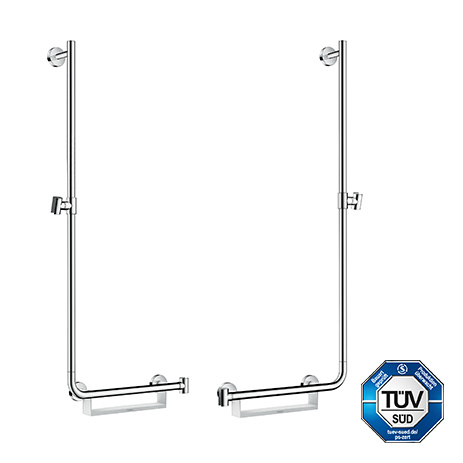 The sturdy brass wall bar is chrome-plated and 25 mm thick. It offers a secure grip up to 200 kg. Consumers have great confidence in the TÜV seal – when it comes to making decisions to purchase, this objectively speaks for itself. 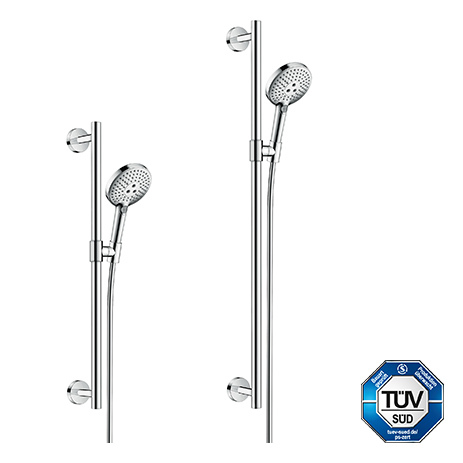 hansgrohe’s high level of design quality sets timeless, modern accents in any bathroom – particularly in combination with the award-winning premium showers. 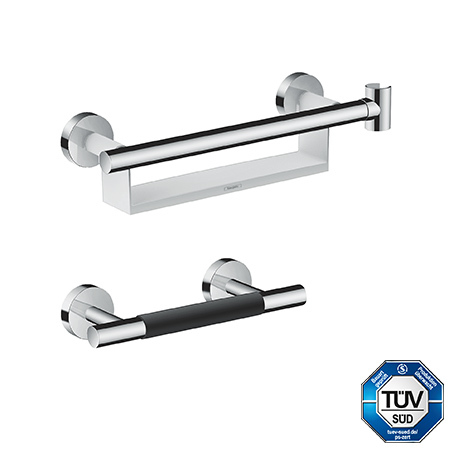 The chrome-plated brass on all components gives them an elegant sheen and is easy to clean. You are likely to have to deal with fewer complaints. 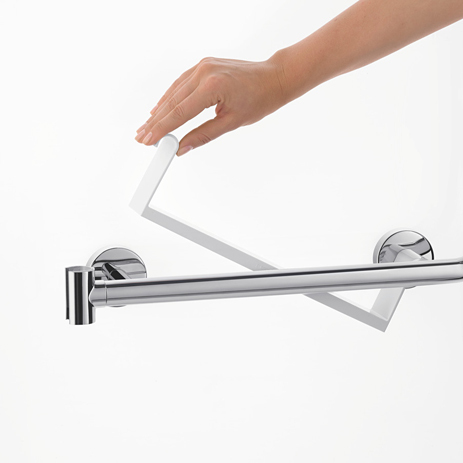 The solid, robust hansgrohe materials ensure that your customers will enjoy many years of use.